The premise of Endangered Creatures is that there is a secret part of London Zoo in Regents Park that the public never get to see. In this hidden area are housed the real endangered creatures; those of mythology, creatures that most people don't even believe exist or believe to have died out centuries ago. Dragons, Dryads and Dodo's make up a small part of this mythical menagerie, many of whom are simply guests rather than incarcerated creatures. For newly appointed keeper Connor it's confirmation of what he'd subconsciously suspected for years. 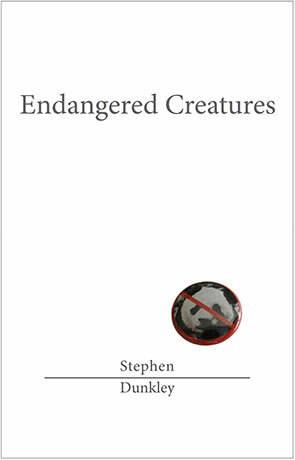 Endangered Creatures is the author's first book and if I hadn't already known this I would never have imagined. He writes with a confident voice and wonderfully rich prose that reminds me more than a little of Tom Holt. It's one of those books that is effortless to read and I consumed the whole thing in just one sitting. The humour is spot on, distinctly British in style and fresh - it also fits perfectly with the back-story, plot and characters. The plot is inventive and a wonderful idea - I can just imagine hidden areas of London Zoo that you never see - I have been lucky enough to see a little behind the scenes there a long time ago but never saw any Manticore or Dodo (although there was a large Komodo Dragon wondering about). The way the various creatures are explained is nothing short of brilliant, each come alive with descriptive and imaginative prose and there are some very creative ideas put forward as to why certain mythologies have come about (such as the scream of the Banshee). The characters are equally well sculpted, especially Connor who manages to come across as smart, naive, young and yet intelligent at the same time. The pace is set just right and the story engaging enough to keep your interest; there aren't any slow bits to let your attention waiver and little diversion from the main plot. I am however hoping that this is just the first in a series as there is so much more potential in the world that Dunkley has created and it feels like we've barely scratched the surface. Endangered Creatures is a witty, clever and above all entertaining novel that ranks right up there with Holt, Fforde and Pratchett - highly recommended to anyone who likes a bit of humour in their fantasy. If that wasn't enough to tempt you, the author has also promised that 20% of profits from the sale of the book will go straight to the charities ZSL (The Zoological Society London) and the WWF (World Wildlife Fund). Written on 17th April 2014 by Ant.